When a child behaves in a way we disapprove or has trouble coping with a situation we may see as “no big deal”, it can be frustrating for us as adults. We can be quick to see the child’s actions as misbehavior or defiance, especially if we feel we’ve asked them repeatedly not to act that way. But if we tell our child to do one thing and then do the opposite ourselves, we’re sending a mixed message to our child on how to behave. Modeling healthy behavior is very important in teaching a child how to cope with stress. 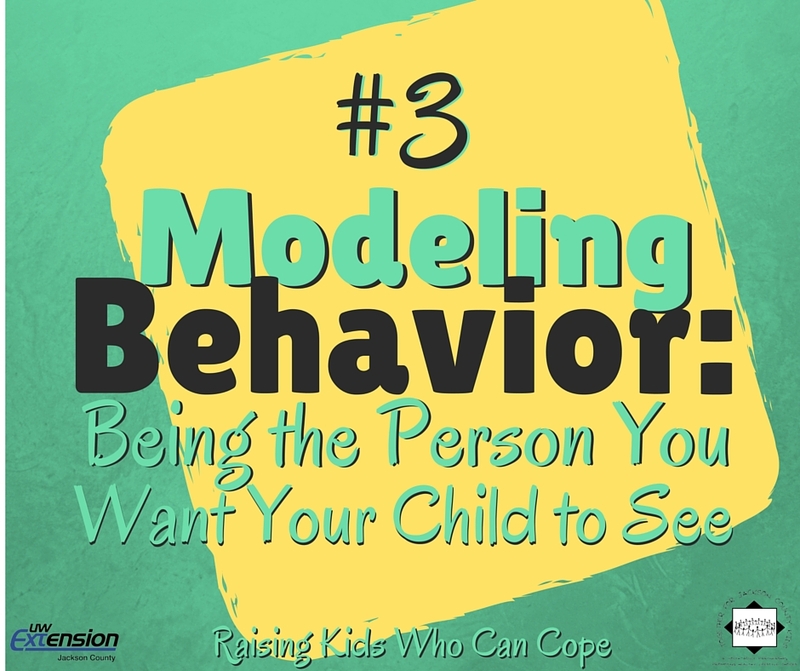 Modeling behavior means demonstrating through your actions how you want your child to deal with stressful situations by using healthy coping skills. Children learn as much from watching us as they do from what we tell them. If we model unhealthy coping methods, a child is most likely going to mimic our actions even if we tell them not to. If our actions are consistent with how we tell our child to behave, it reinforces the positive skills we’re trying to teach them. The more we model positive behavior in front of our children, the less often we have to repeat our expectations to them. This entry was posted in Raising Kids Who Can Cope and tagged coping skills, modeling behavior, youth. Bookmark the permalink.